Today is publication day for our June releases, and we thought today on the blog we'd take a look at some of our upcoming books. 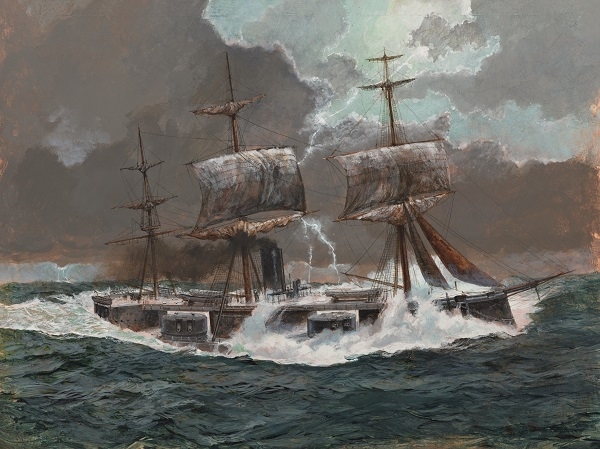 This month's artwork reveal features British ironclads of the 1800s, pistols used throughout World War I, and the shooting down of B-52s during the Vietnam War. Take a sneak peek below and remember to let us know which is your favourite plate in the comments below! This first plate is taken from the newest addition to our Air Campaign series, Operation Linebacker II 1972, and depicts the first B-52 shoot-down. A missile site of the 93rd Battalion, 261st Regiment fires its SA-2s at the first wave of B-52s. The first to be shot down, Charcoal 01 has just been hit. 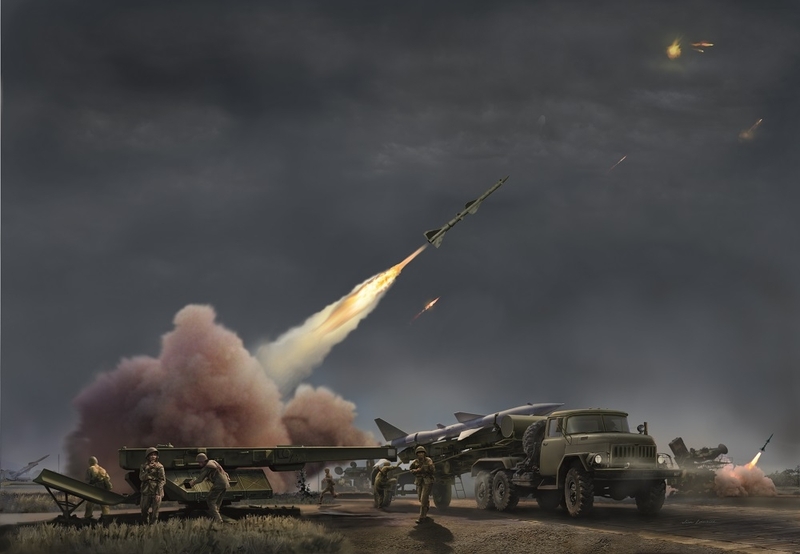 Here the North Vietnamese have all six of their launchers with missiles mounted, as well as six ZIL trucks, each with a new missile, waiting in a holding area to come to the launcher as soon as the missile was fired. This second plate, from The Luger, depicts a cavalry mêlée between Russian and German cavalrymen on the Eastern Front in August 1914. 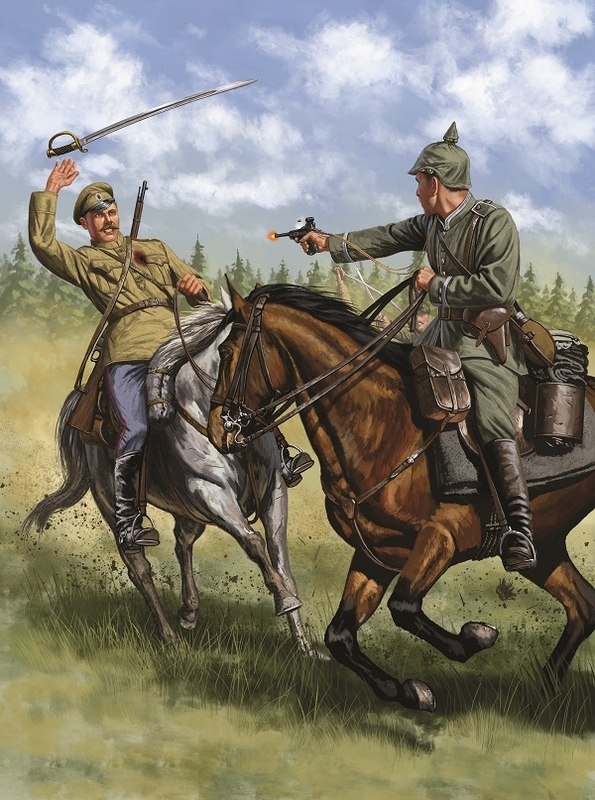 Here, the benefit of the pistol can be seen, as it is used with one hand while the other controls the horse. As a pistol bullet could not be parried, it meant that an opponent could be shot down before he is able to come within sword reach. Our final plate from British Ironclad 1860–75 shows HMS Captain in the Bay of Biscay, 1870. The ship resembled the Monarch, but had key differences, such as the placement of her two twin-gun turrets on a deck lower than in the earlier ironclad. She was also twin-screwed, giving her an impressive top speed of more than 15 knots. However, her sailing qualities were less favourable, and just eight months after she entered service she encountered a gale in the Bay of Biscay and began heeling alarmingly. Shortly after midnight on 7 September she foundered, taking Coles and 472 men down with her. There were only 18 survivors. These three titles are now available to pre-order, click here to browse more of our exciting upcoming titles. Again some great pics. My favourite is the Lugar. Twenty years ago I met a soon to be retired USAF Colonel who piloted a B-52 over Hanoi and told me it was the biggest Fourth of July fireworks display he ever saw. A bit of flak hit the back of his bomber. It was pulled out for him and he kept it in his garage as a souvenir. I have studied the first piece of artwork with great interest, but I am unsure of one thing. Is the B-52 to the right of the fireball (on the upper right hand corner) breaking up, or is it just getting hit by shrapnel from the aforementioned fireball?